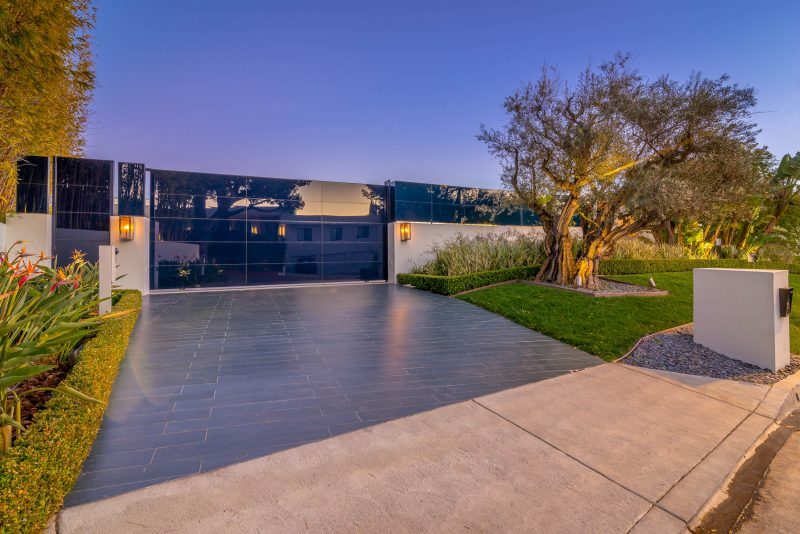 Hong Kong businessman Dr. Chanchai Ruayrungruang, also known as Yan Bin, is selling his incredible Beverly Hills architectural home by designed by architect Paul McClean. The home was built by Nile Niami with furnishings by Fendi Casa. 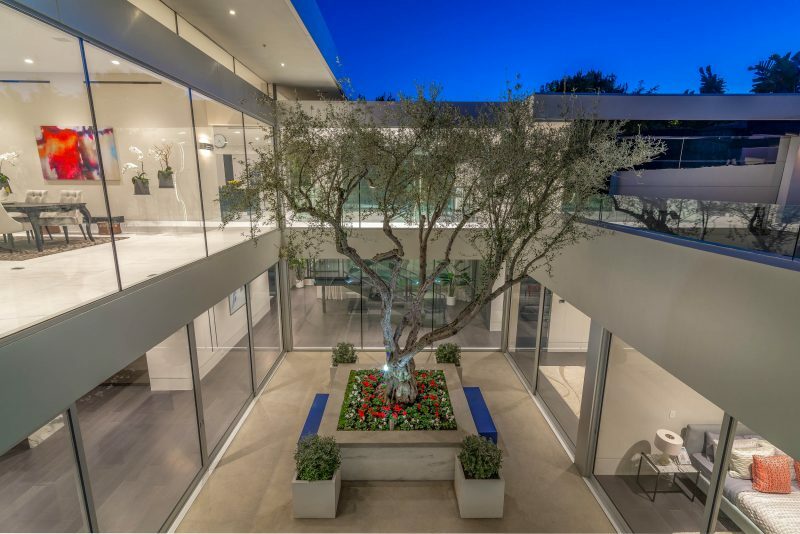 Dr. Chanchai’s modern estate in Beverly Hills’ coveted Trousdale enclave is tucked behind a 12’ glass gate that opens to feature a two-story fountain and interior courtyard with a majestic olive tree. 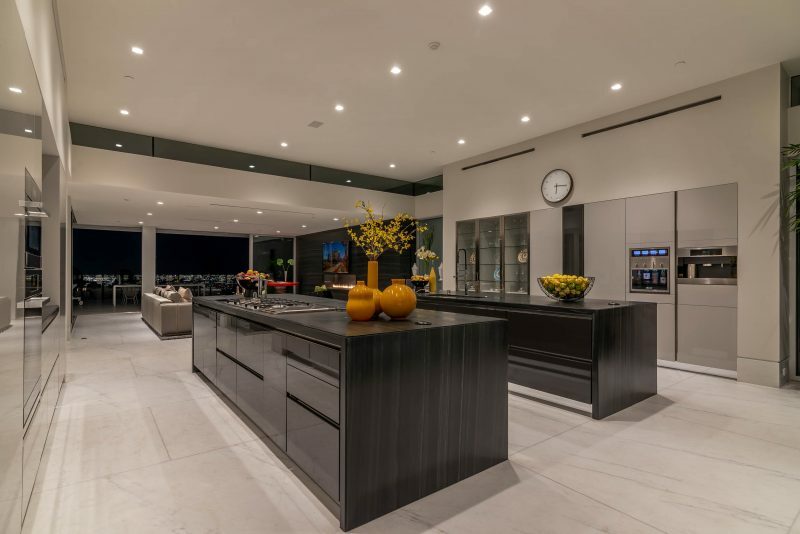 The home features elegant living and dining spaces with slab book-matched marble flooring that leads to the gourmet SieMatic show-kitchen with built-in wine station and matched dual oversized marble islands. The 9,393 square foot, 6-bedroom and 8-bathroom estate. 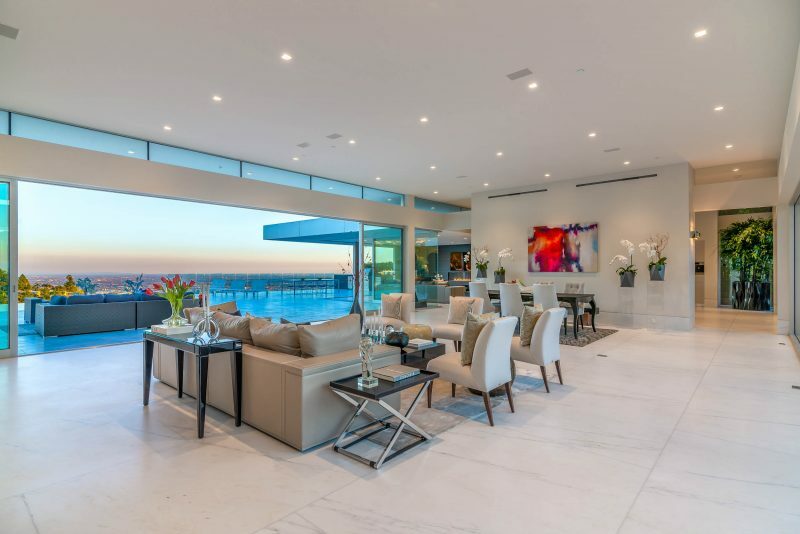 The walls of glass disappear to the outside, offering effortless access to the zero-edge infinity pool, spa and exterior kitchen with a backdrop of views from the city to the sea. 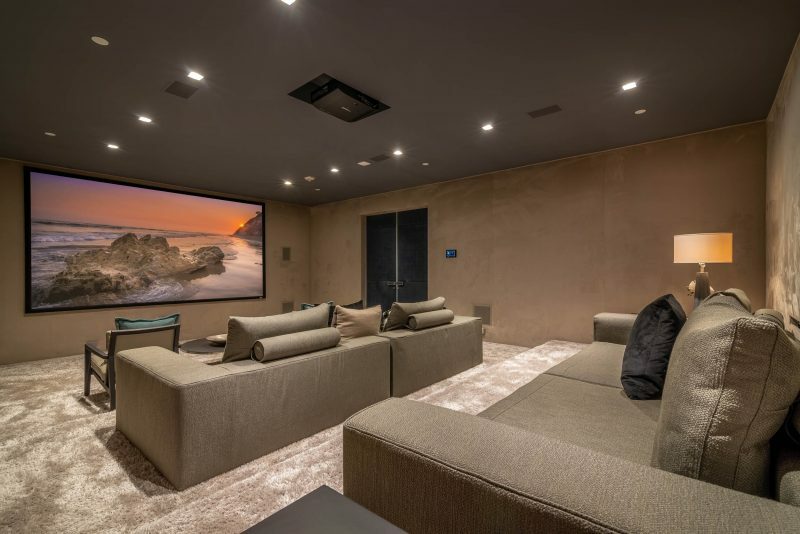 The lower level features a state-of-the-art theater done in soft neutral tones. 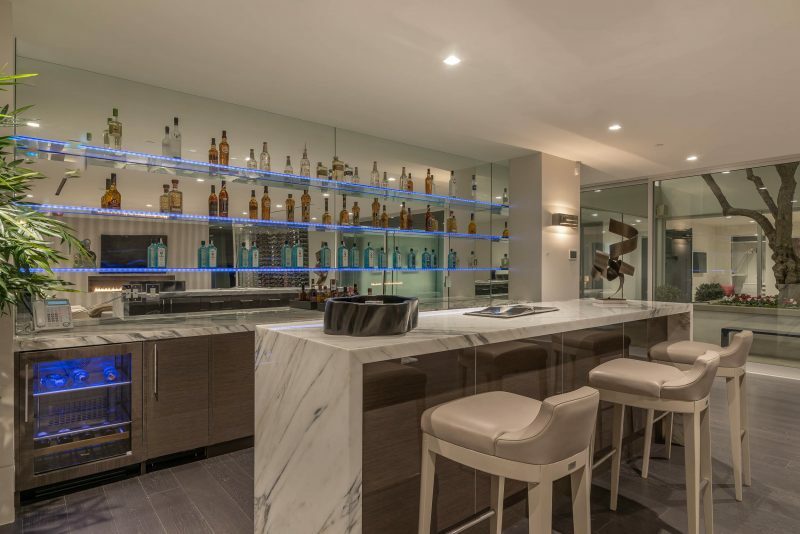 The lower level also features a billiard room and bar, cigar lounge, glassed wine room, and a fully equipped gym and steam room. This home is listed by Ann Dashiell of Dashiell & Associates at Compass for $24.9 million.